Human error is the chief contributor to accidents and incidents in the electrical engineering field. Considering the vastness of this field, it is virtually impossible to commit every item or content to memory. Thus, the chief contributors to the human errors include poorly written material, missing data, incorrect blueprints and poorly designed products and workstation layout. Do note that the highlighted errors in documentation can lead to death or injury, delays, escalated project costs and unnecessary reworks. With such in mind, proper documentation is crucial in all facets of product design and project implementation and testing. On a daily basis, electrical engineers, scientists and designers offer innovations to foster efficiency, completion and even aesthetics in design. Proper documentation offers the easiest way to assimilate these features into the product, improve an existing model, ensure clarity of design and offer a future point of reference. In this aspect, proper documentation plays a major part in how a concept matures into a functional, feasible and appealing product or project. This is especially important for innovations. With a set documentation, one can continually make changes based on test results. This is especially important if the electrical component has embedded software. The firmware requires thorough testing and documentation, as lack of these results to the duplicity of errors, and a waste of time. In an electrical system, even minor changes can pose shock hazards, as the attending technician is unaware of the changes since there is incorrect or missing documentation. Consider a scenario where previous attendants decided to bypass a fuse, or install jumper cables rather than replace the fuse. Without that knowledge, the next person to attend to the task is in grave danger. To avoid such scenarios, update any existing information on the particular component or system. If none exists, document the change, however minor. 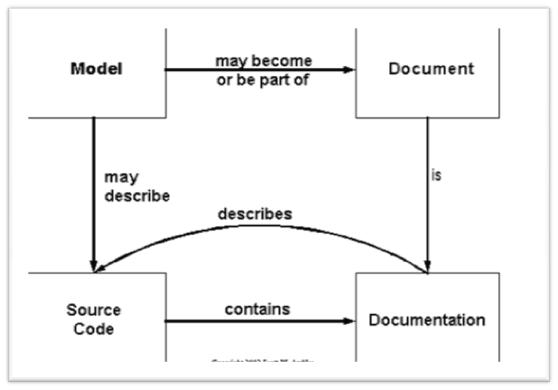 In the same vein, documentation helps to monitor system reliability. Reliability in electrical systems is crucial, whether voltage stability, effects of loads on the harmonic effects and the effect of component addition or removal on the power factor. Documentation helps to keep the changes and the effects of these changes in check and easily available. Expansion and several upgrades are typical aspects of any electrical system. For example, a service line may prove to be inadequate in case of population growth in a town. Over the lifetime of a system, especially power transmission and distribution, different contractors may undertake the upgrades on different sections of the system. Lack of documentation on these undertakings can result to project duplicity and catastrophes such as overloading and damage. In cases where a number of similar engineering companies are bidding for one project, the possession of updated and accurate documentation can offer you an edge over the other bidders. The information offers a glimpse into and reference of your past projects, and, therefore, your suitability for the current project. As highlighted, documentation is crucial in all areas and stages of engineering projects. Proper documentation does require proper knowledge of the engineering concepts, as well as professional writing skills. Also, ensure that you invest in the right documenting and storage tools. Lastly, security of the technical information is very important, especially in the initial concept stage. Updated records of document ownership and file location. The latter should indicate the location of both electronic and hard copies for easy access based on convenience. On this note, consider consulting data centres and cloud storage services for consistency and ease of access. Quality control strategy for updates. or copy this trackback: http://engineering.electrical-equipment.org/others/the-importance-of-documentation-for-electrical-engineering.html/trackback from your own site. In my work as an engineering expert in Poland I’ve dealt with all forms of energy. Also wrote a blog.